On Sunday nights, I have practice with Acoustic Rooster, and my husband and sons are on their own for dinner. They have deemed it taco night -- and when they make tacos, there are no veggies and no fish. For them, tacos are comprised of shells (hard or soft), taco meat (ground beef with packet taco seasoning), cheese and taco sauce. That's it. On most nights there's leftover meat, but not enough for a second meal of tacos (and when you're already having tacos once a week, do you really want them again?). Seeing that leftover meat go to waste makes me nuts so now I make the leftovers into chili. I've never measured the amount of meat I put in it from week to week but it always seems to turn out OK. Now, my husband has decided he likes the chili at least as much as the tacos, so he's threatening to make even MORE taco meat! I can't win! 1 cup (or so) leftover taco meat. Optional: cayenne pepper, if you like it hot. Add 1/4 teaspoon at a time until the spice is to your liking. Garnishes: grated cheese, sour cream, etc. 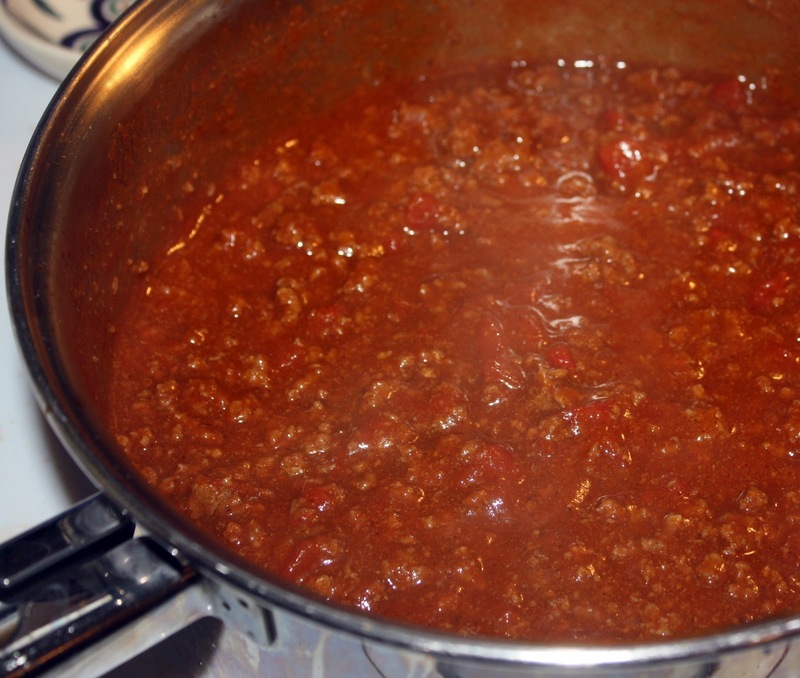 In a large saucepan, combine the all ingredients, and bring to a simmer over medium-low heat. Taste and adjust seasonings until they are to your liking. Cook, stirring every few minutes, for a half hour or more. I keep it partly covered while it simmers. If you like it really hot, use hot petite diced tomatoes with chiles, such as the various ones from Redpack. You can also vary the flavor by using petite diced tomatoes with sweet peppers or other variations.